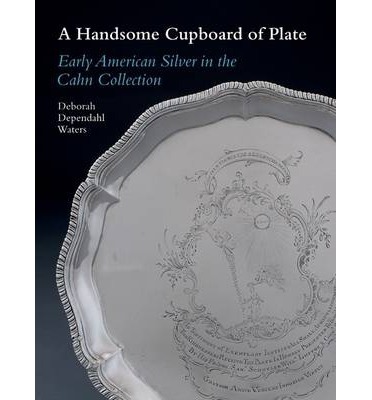 Strength in design and fineness of craftsmanship unify the early American domestic and presentation silver assembled by Paul and Elissa Cahn and published together for the first time. Beginning in Boston with a caudle cup marked by Jeremiah Dummer, America's first native-born silversmith, and objects from the shop of patriot silversmith Paul Revere, the book then focuses on New York, where a distinctive style reflecting the Dutch heritage of that region emerged, and afterward on Philadelphia, where generations of the Quaker Richardson family supplied goods of the "best sort, but plain." Pride of place is given to the work of New York Jewish silversmith Myer Myers and his shop, including a presentation waiter made for Theodorus Van Wyck. Accompanying a touring exhibition of the Cahn collection, the book encapsulates some of the ethnic, religious, and political diversity of early America and sets the silver in its social and historical context.